Your booking page can be easily integrated into your website. Get started by clicking the Share icon in the upper left hand corner of your dashboard. From within the Share screen, click on the Website icon to begin configuring your website links. Note: The Booking Page URL is set to show all options by default. 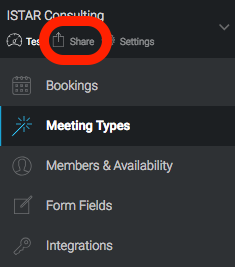 You can click the dropdown menus if you want to specify the meeting type and/or member that you want the booking link to point to. 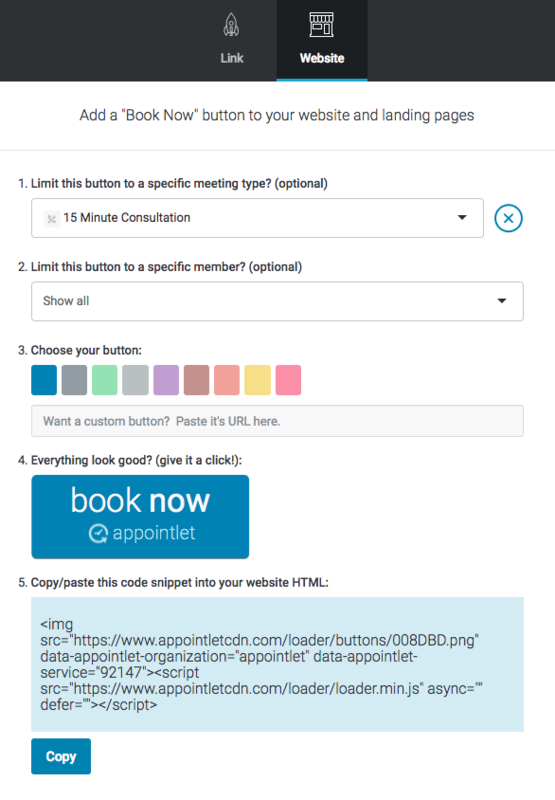 Choose the service and/or member that you want this button to book for, choose your button color and then grab the code from Step 5. Once you have the code, place it in your web site files wherever you want the Book Now button to appear. Load your site and click the button to test - if the link works then you are all set and ready to go! There are at least two ways that you can set up your website / landing page to manage customers and prospects. 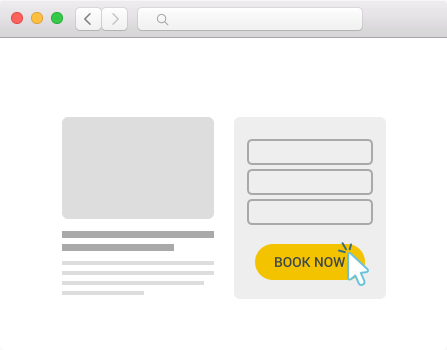 Add a "Book Now" CTA to your website and landing pages so they can book you without leaving your website. Click here for an example. Redirect them to your booking page after they fill out a lead generation form. Click here for an example. Whether you're supporting customers through Live Chat or sending out onboarding messages to your users, all you need is to share your link with them so that they can book you.